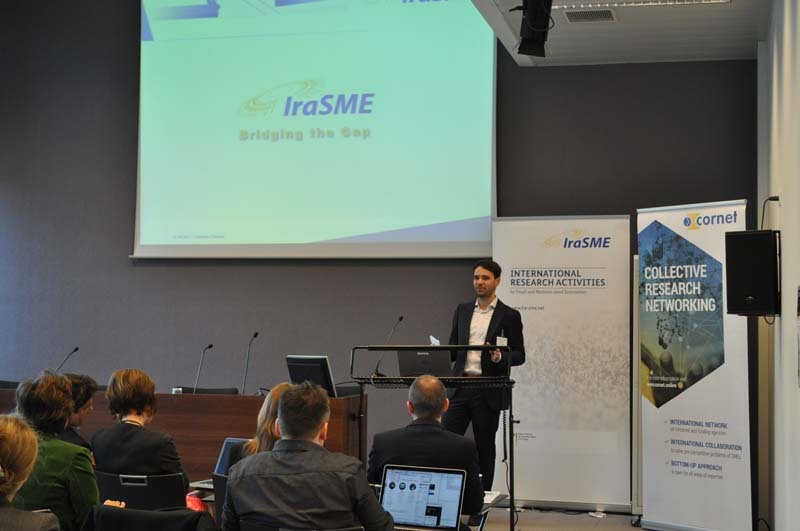 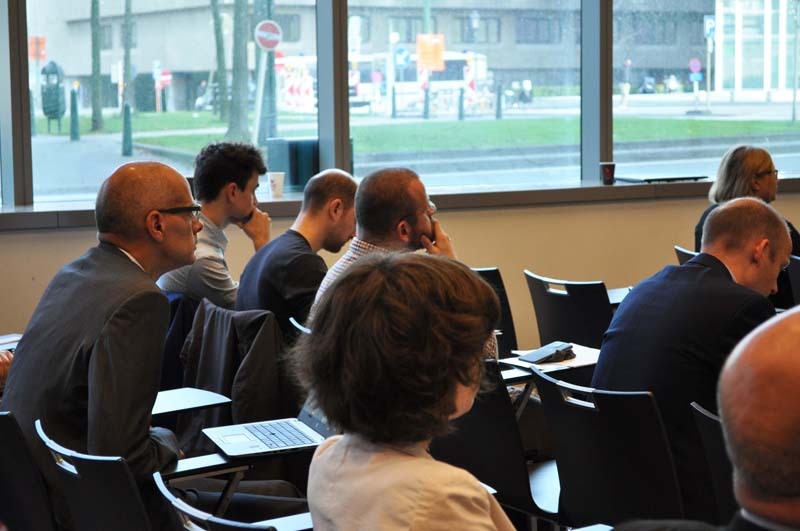 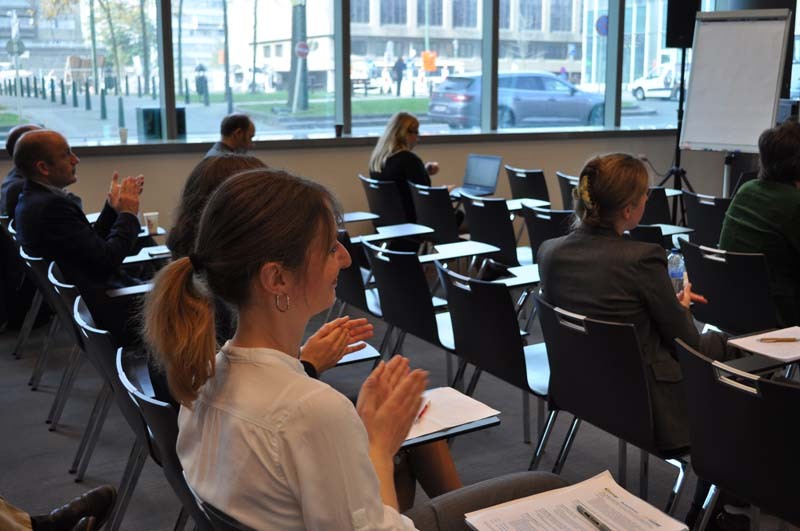 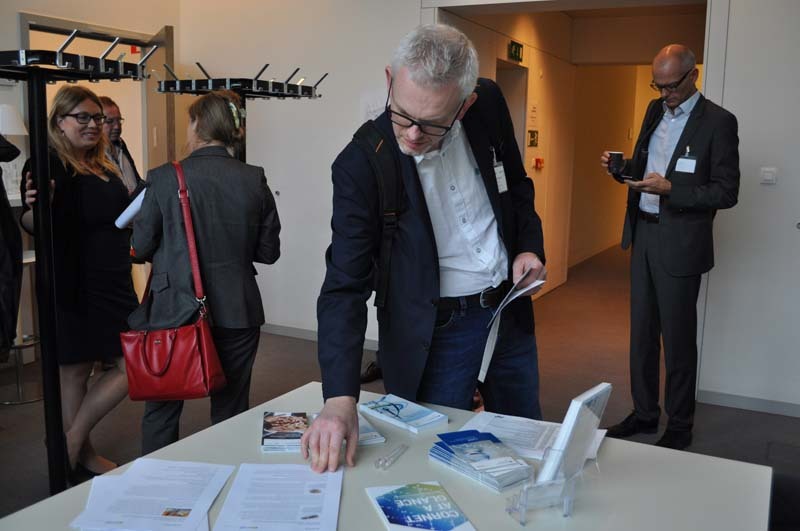 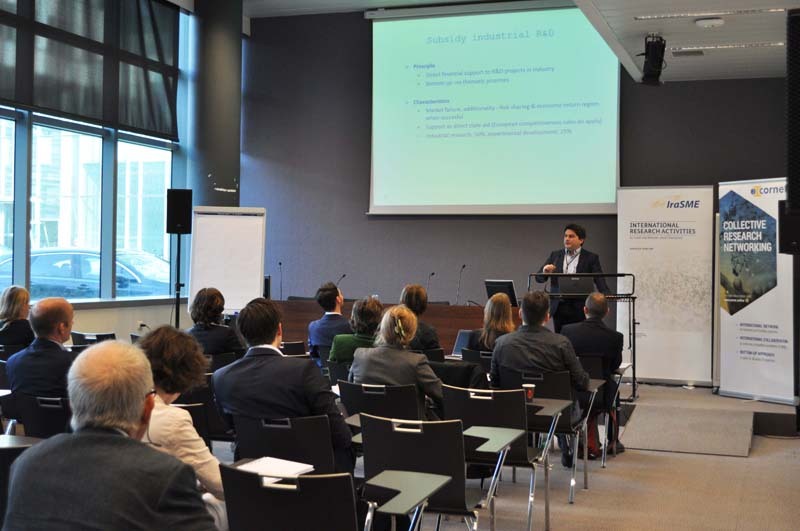 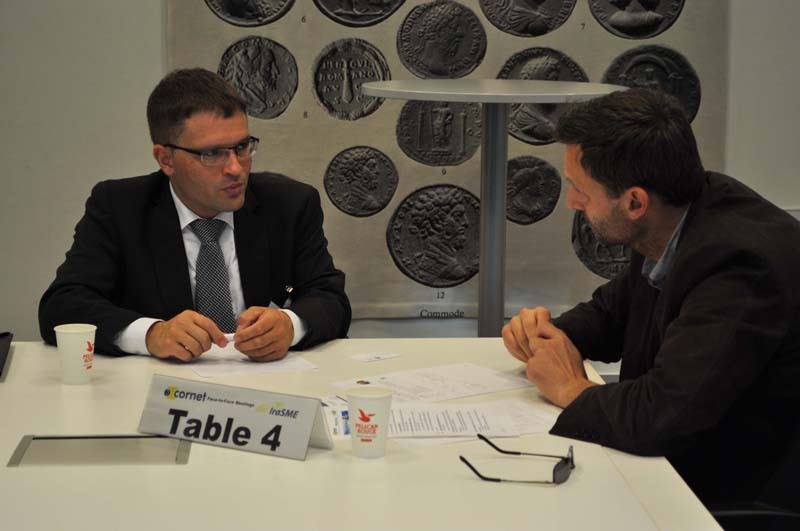 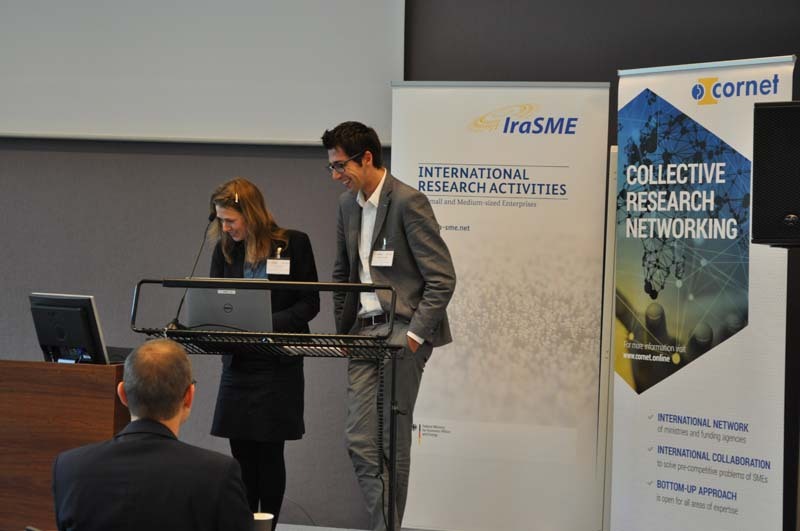 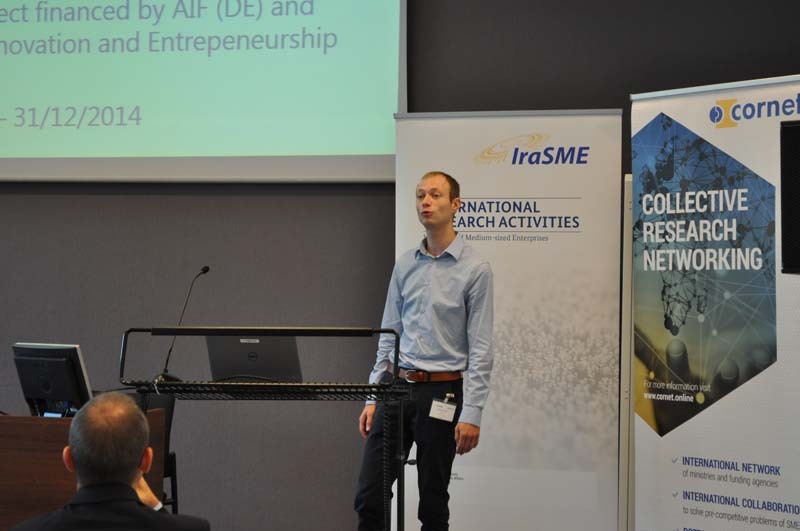 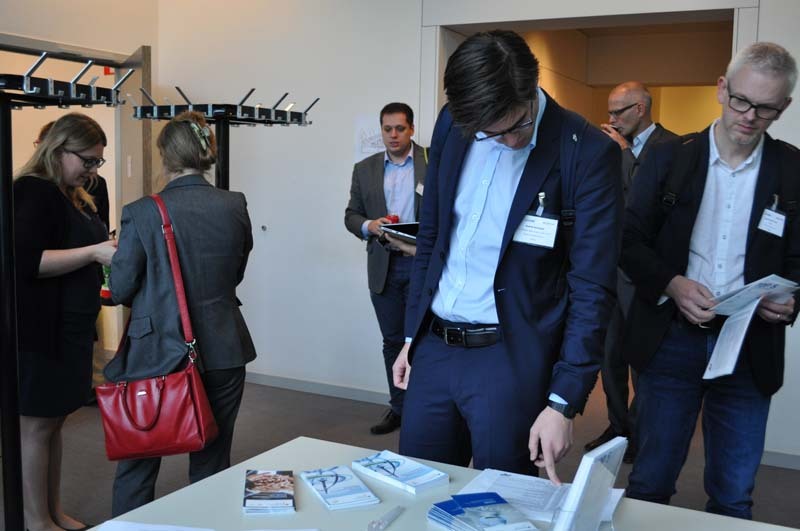 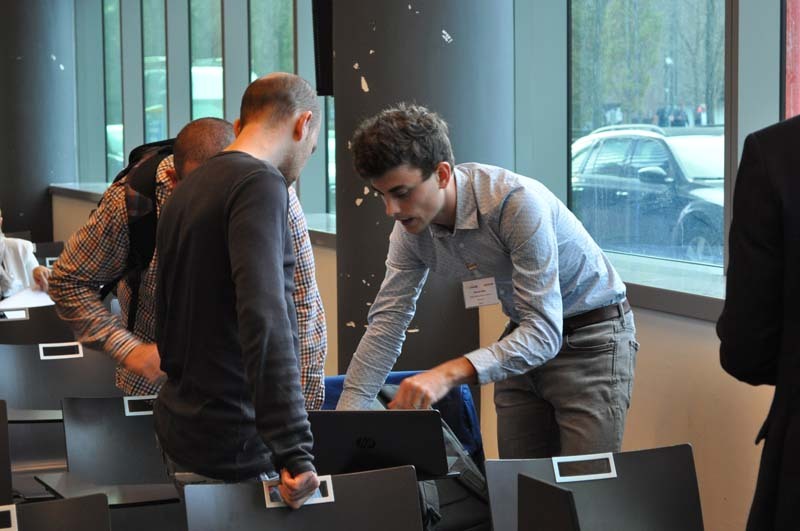 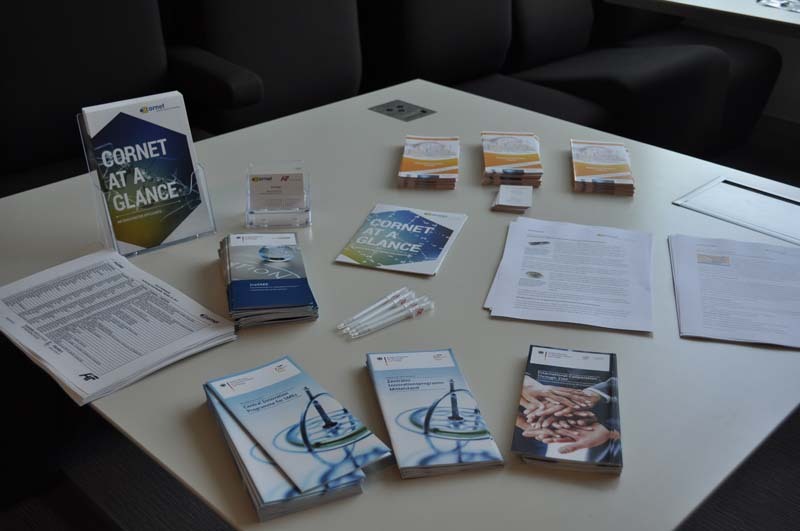 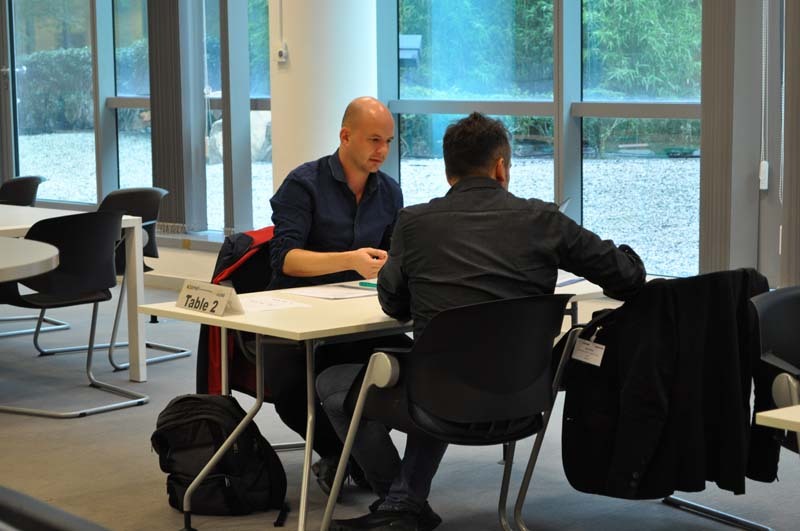 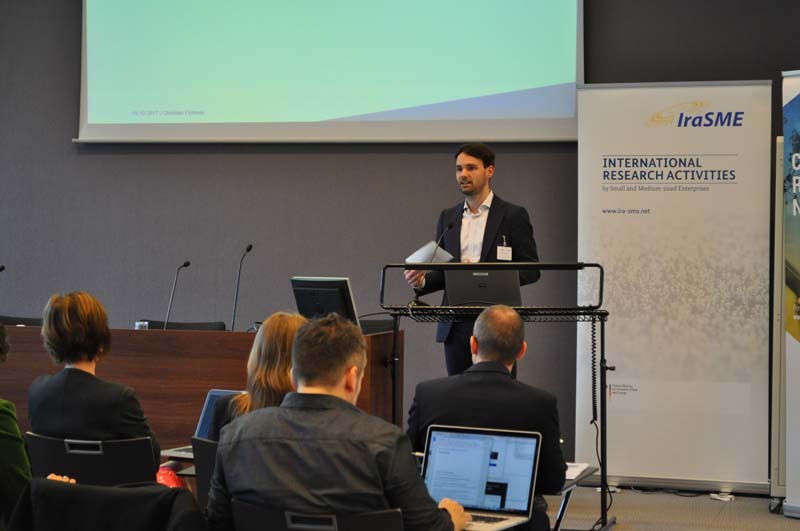 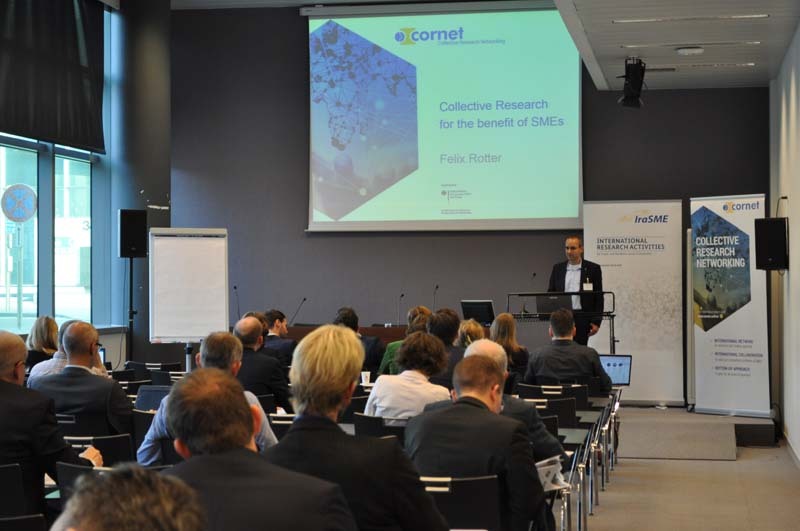 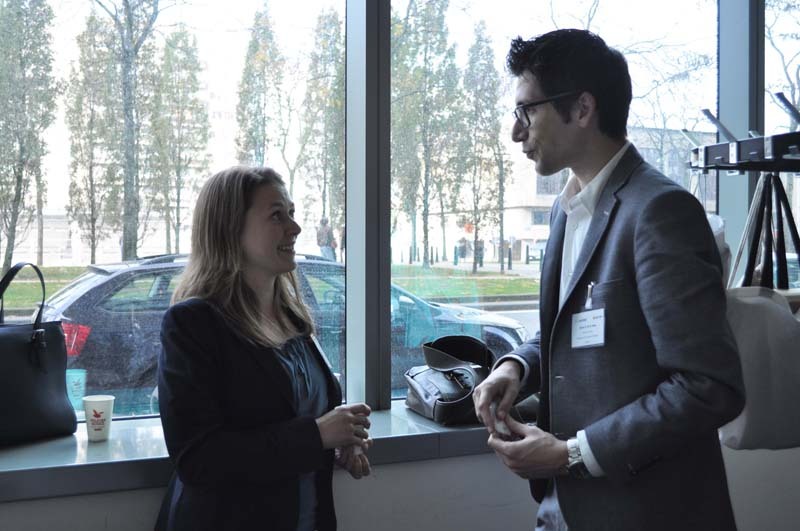 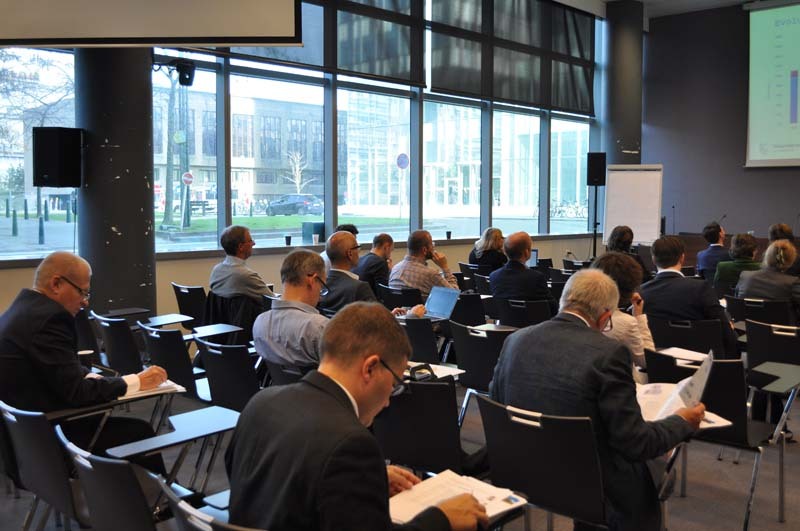 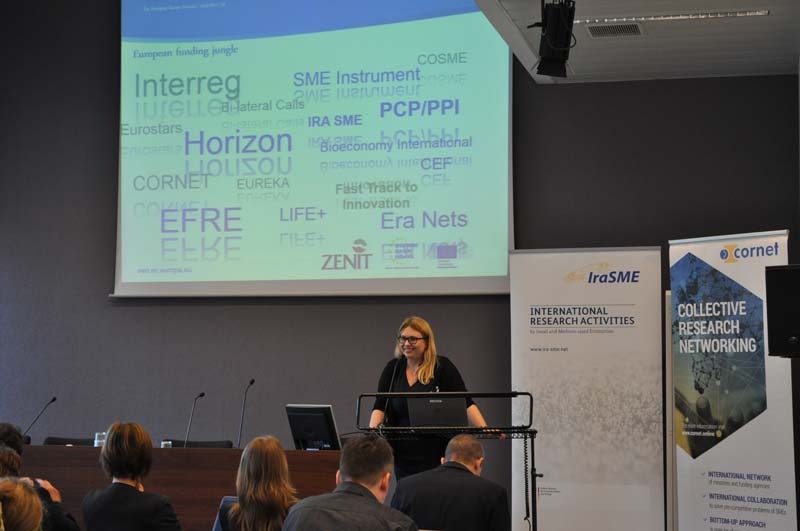 On 19 October, people from all over Europe came to Brussels in order to participate in the latest international CORNET and IraSME Partnering Event hosted by the Flanders Innovation & Entrepreneurship (Vlaio) – Flemish partner agency within both networks. 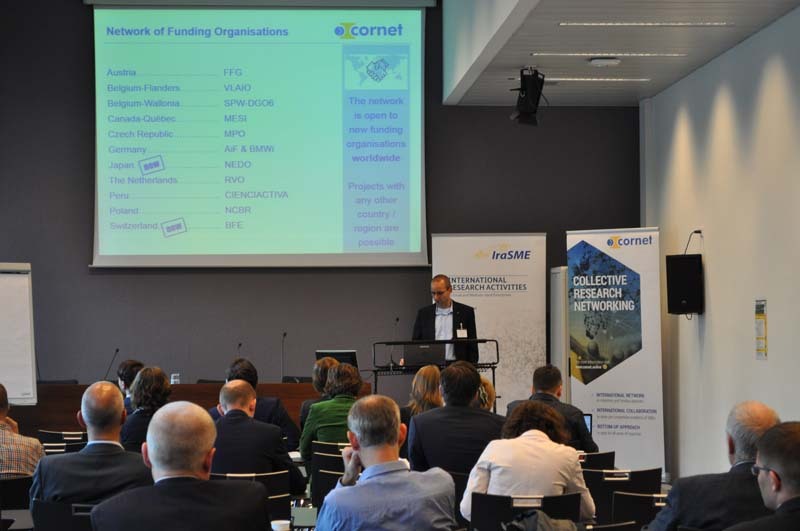 The event started with presentations of the funding networks providing some handy tips for a successful application, followed by a CORNET Session about successfully running projects. 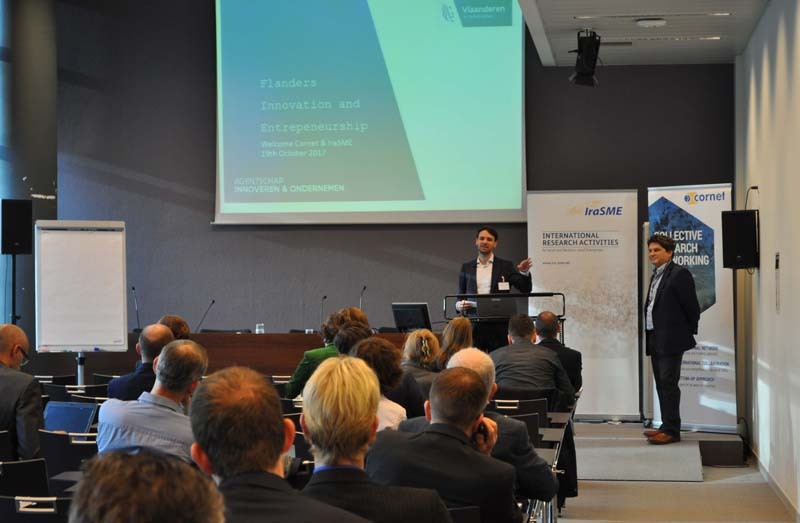 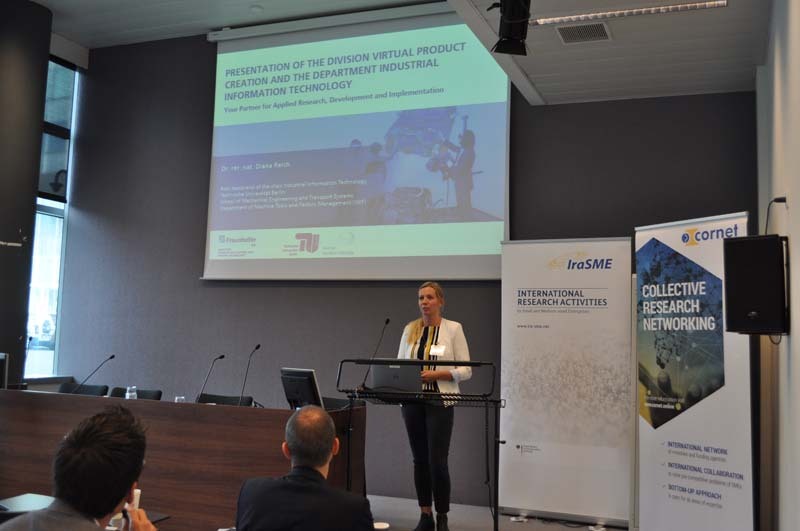 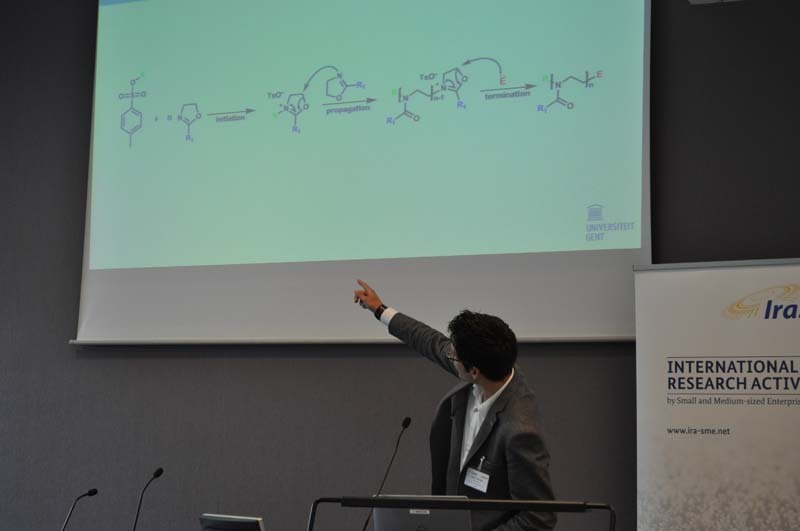 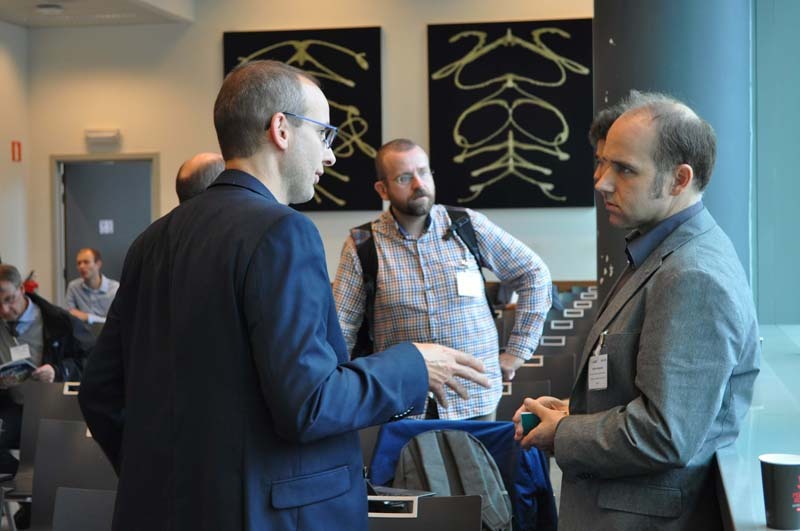 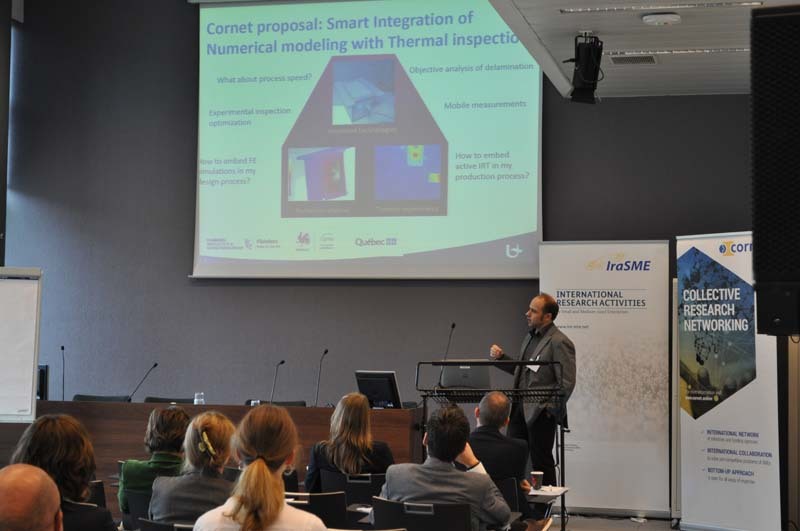 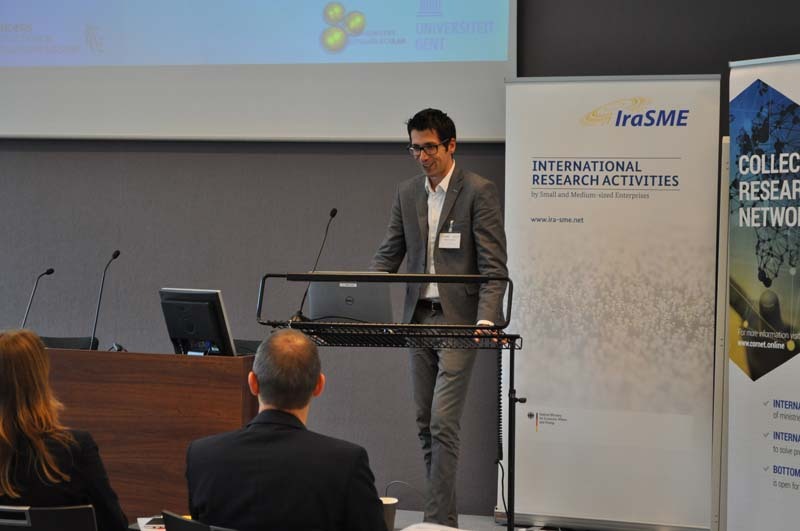 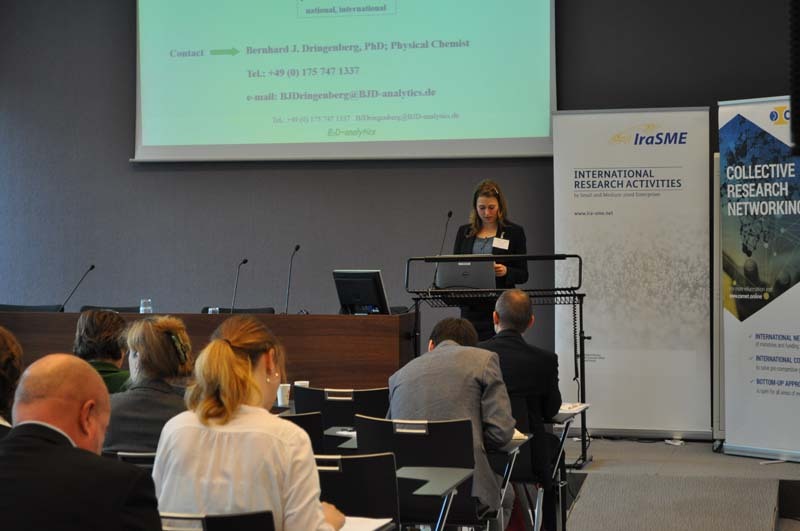 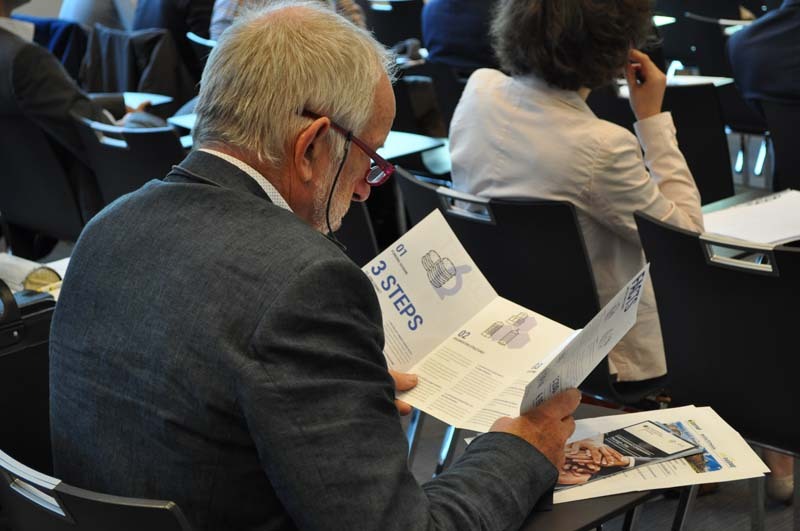 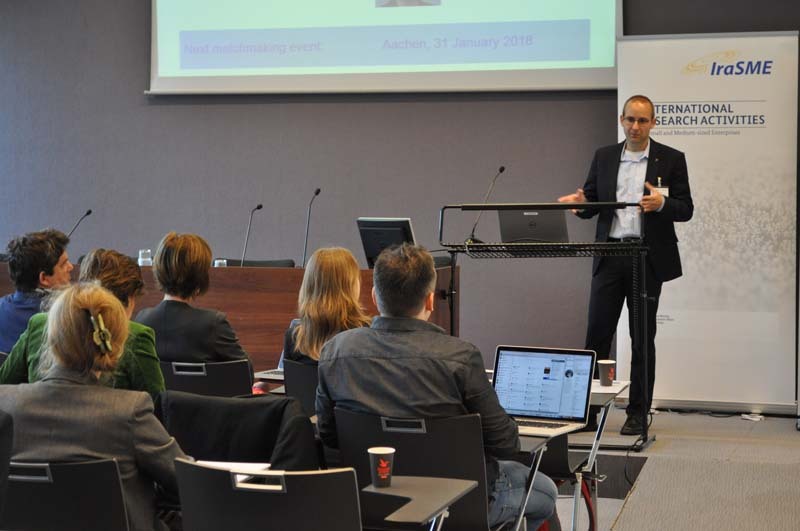 Representatives of the Belgian Textile Research Centre (Centexbel) gave the audience first-hand insights about two collaborative projects between Flanders and Germany and the advantages of an international partnership. 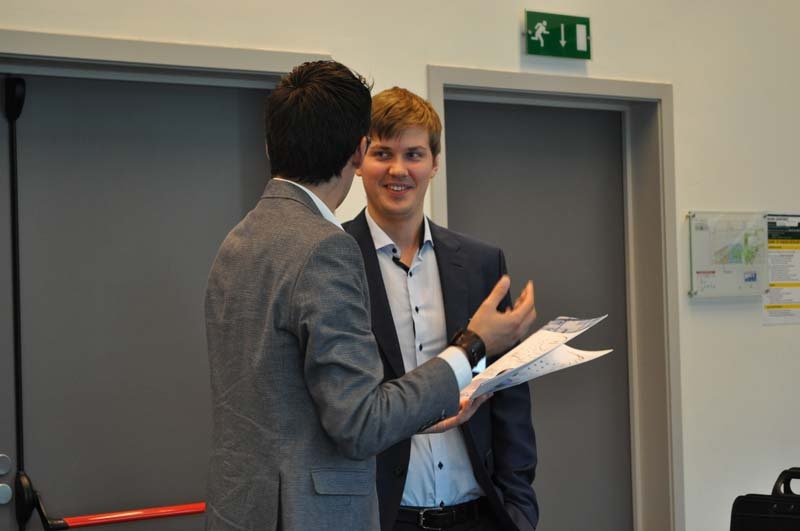 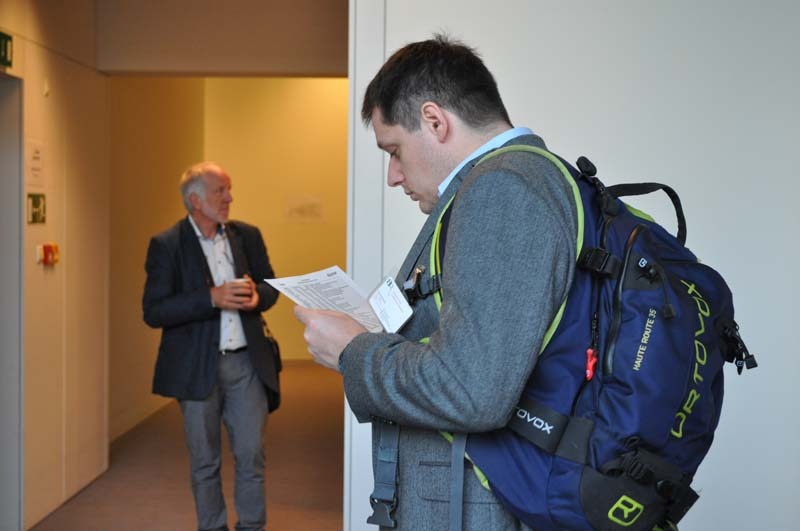 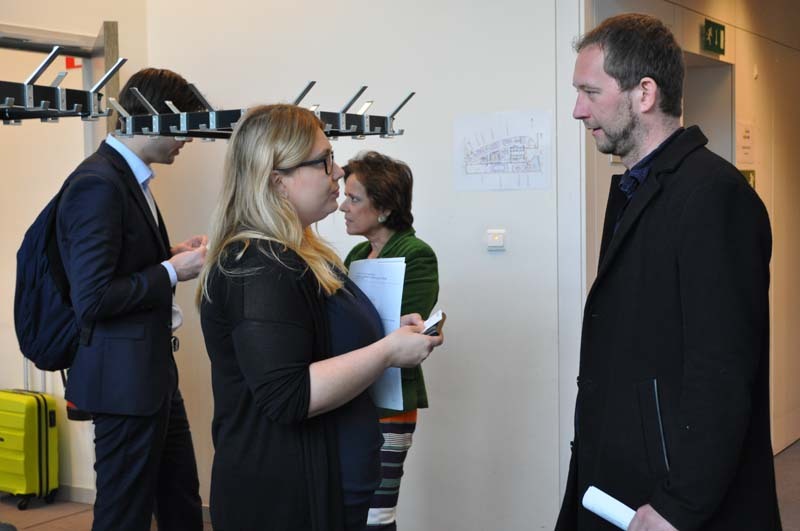 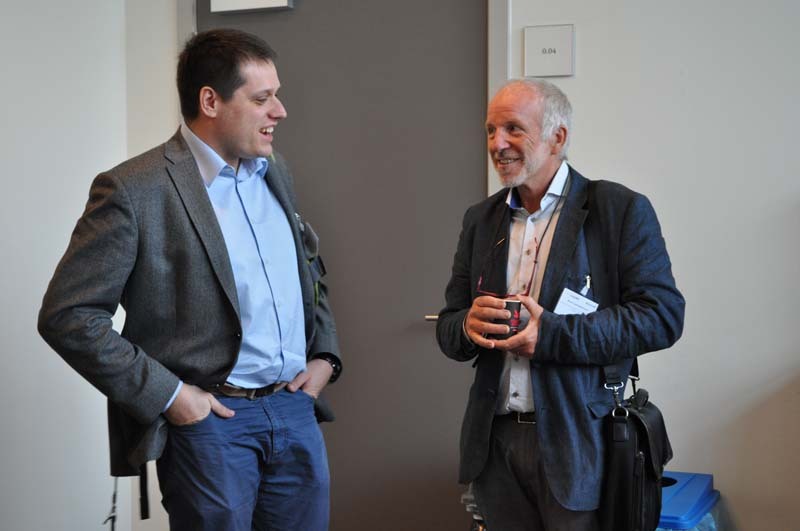 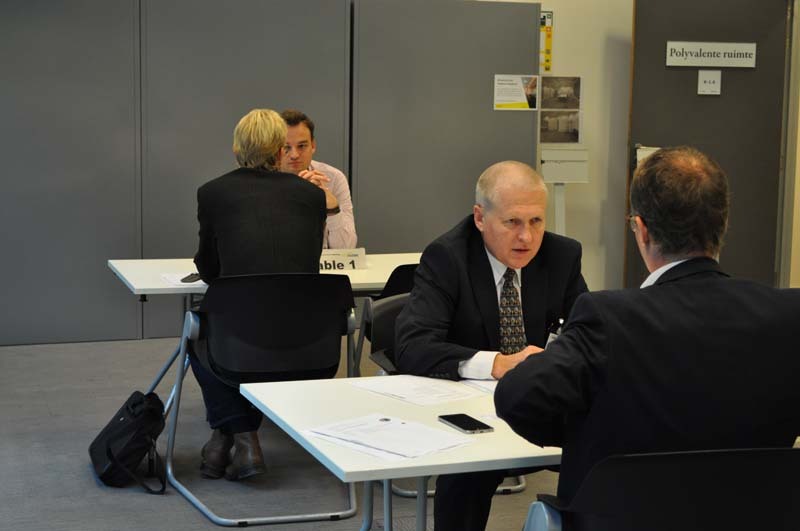 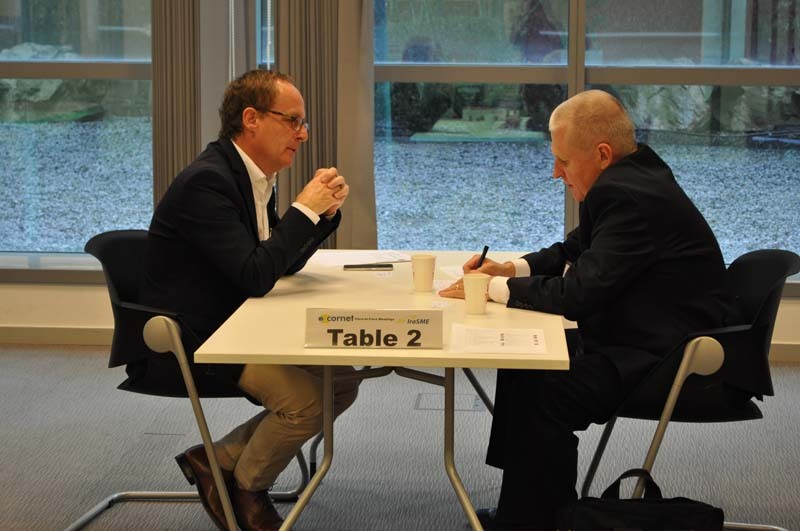 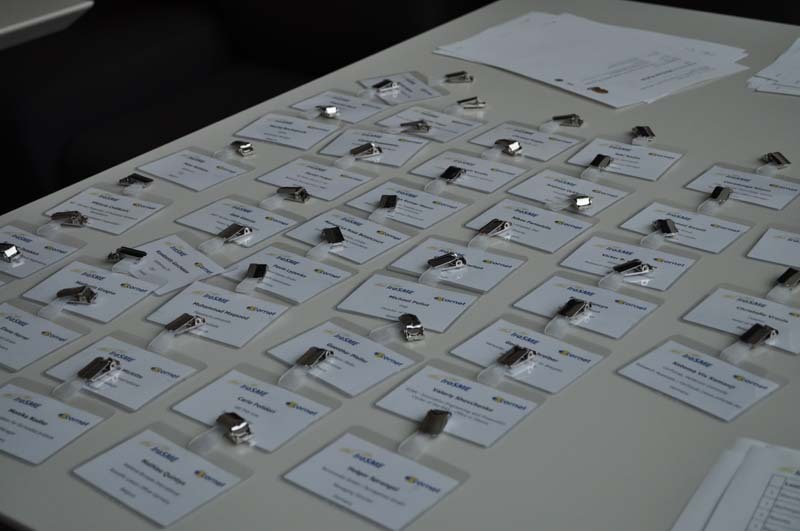 Afterwards, the Elevator Pitch Session began – one of the highlights of every Partnering Event. 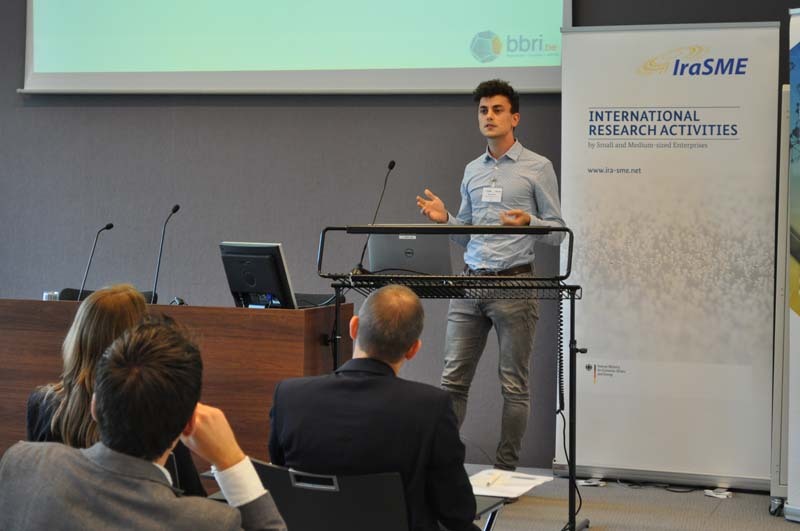 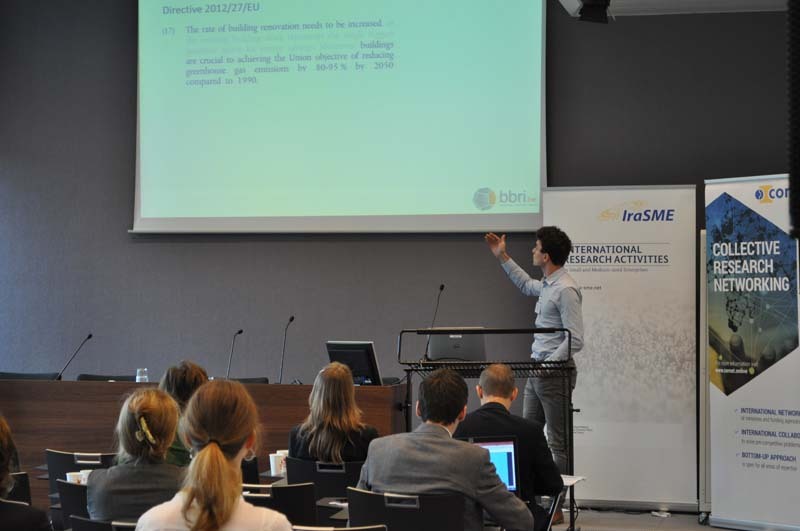 Several participants took the opportunity to present their project idea or organisational profile to the audience. 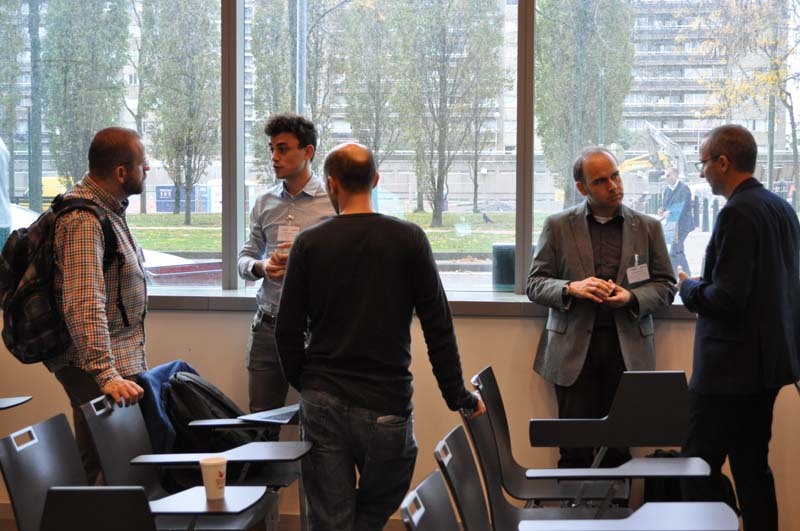 The topics and areas ranged from materials science and nanotechnology to virtual product creation. 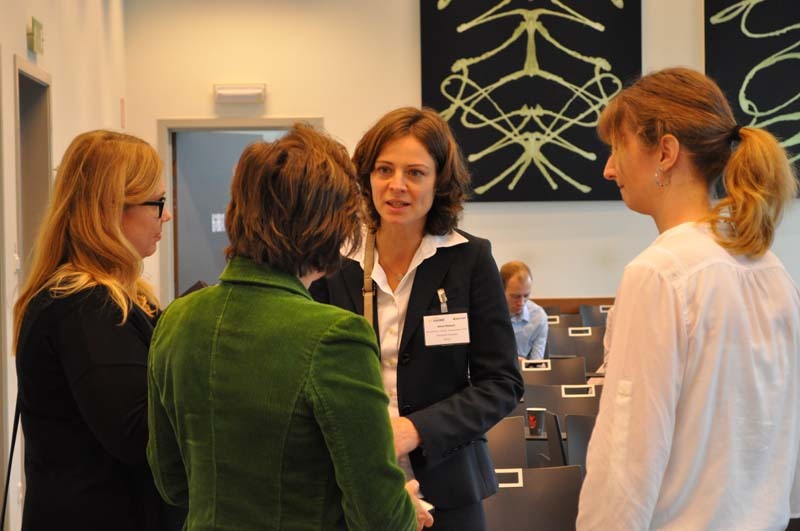 In parallel, participants also made use of the opportunity to meet other attendees in person and discuss future collaboration possibilities. 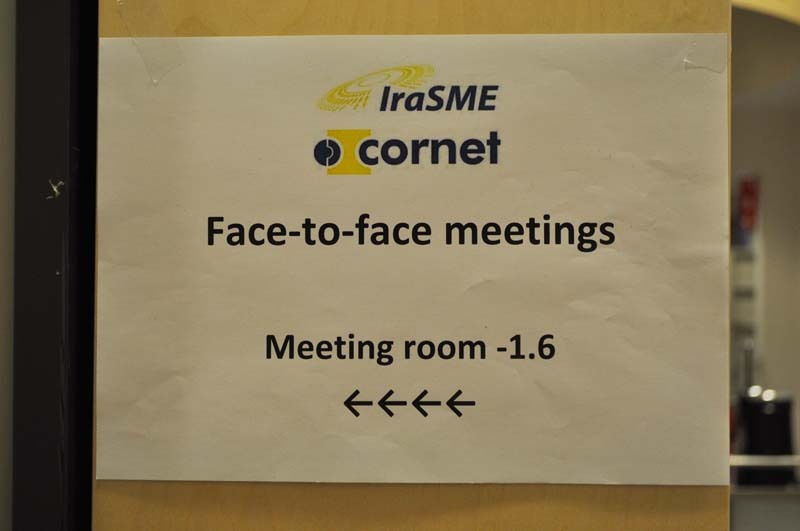 It had been possible to schedule the so called face-to-face meetings already in advance so that every participant had been able to design his or her own individual agenda for the day. 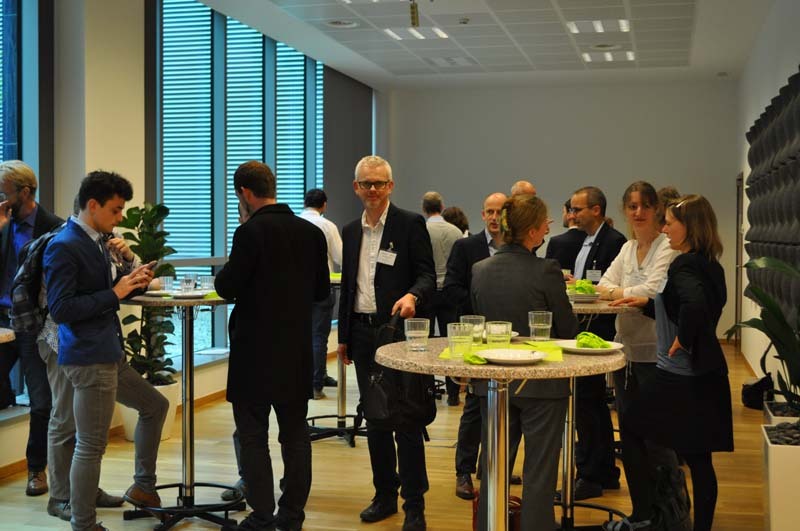 In addition to the pre-scheduled face-to-face meetings, there was plenty of time to get together and network in a relaxed and fruitful atmosphere. 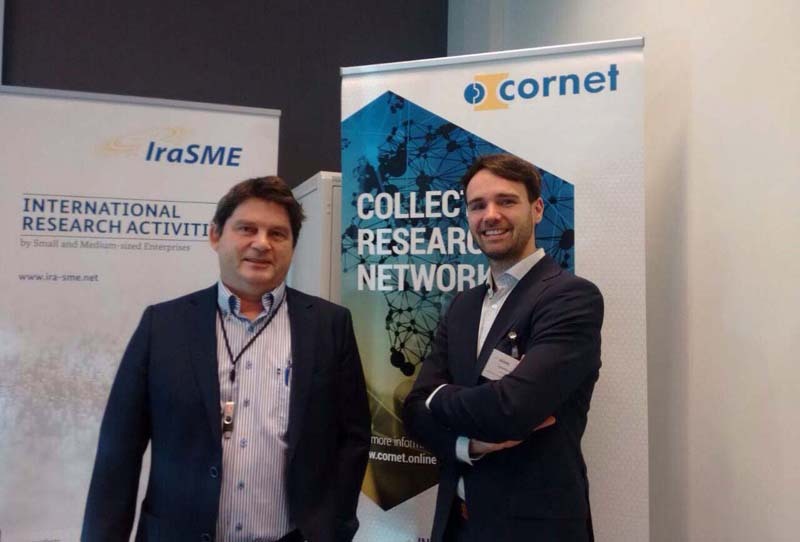 The next CORNET & IraSME Partnering Event takes place in Aachen (Germany) on 31 January 2018. 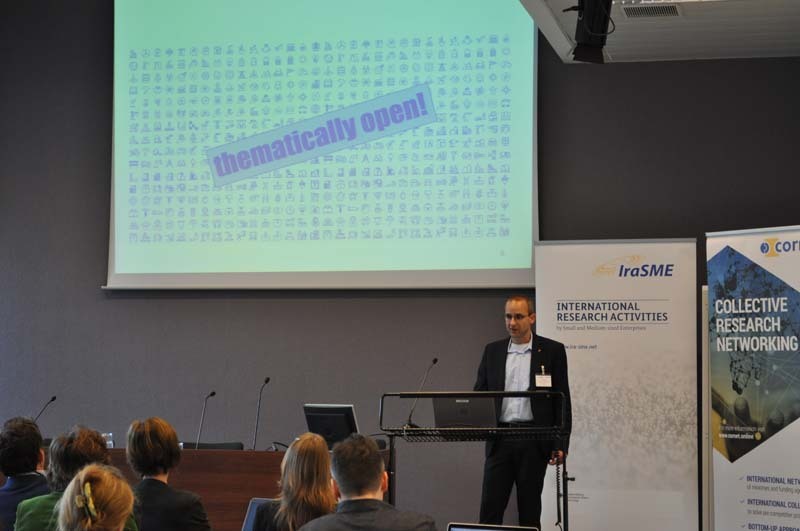 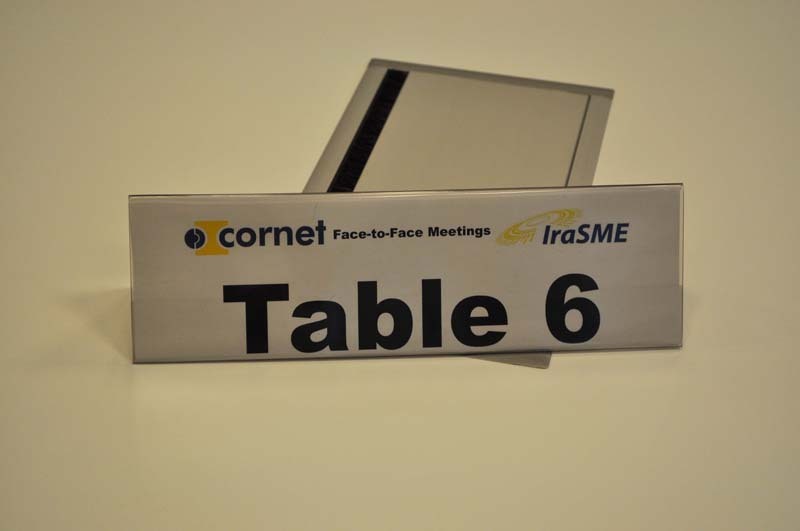 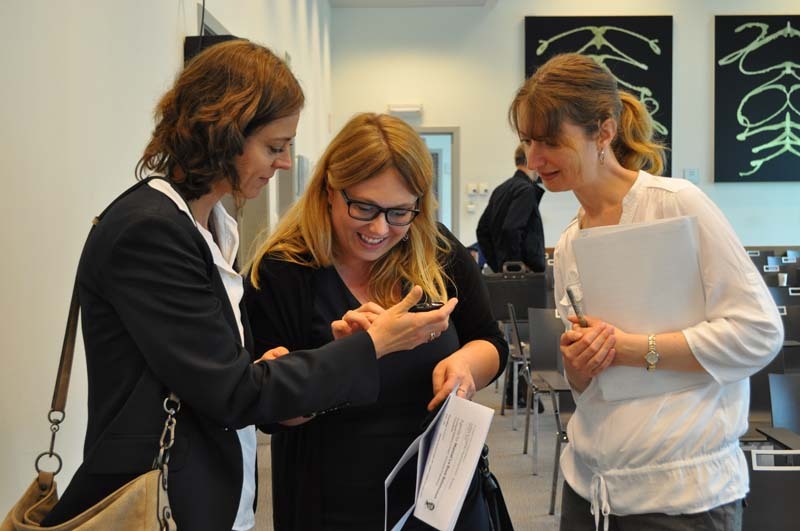 For registration and for scheduling face-to-face meetings please visit the event page https://www.b2match.eu/irasme-cornet-aachen-2018/. 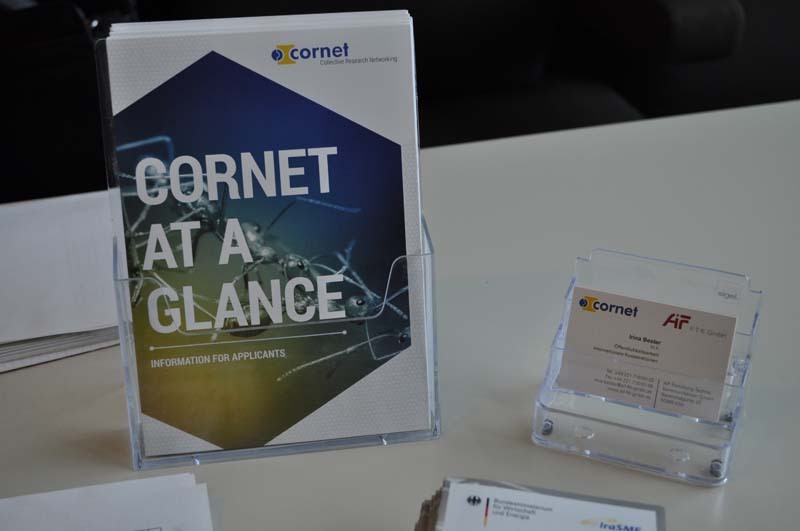 Further information can also be found on cornet.online and ira-sme.net.